Having enough seating outside in your backyard or patio makes a world of difference because if there's not enough seats or no seats at all for that matter, you're not going to want to spend time outside and would probably prefer to stay indoors. 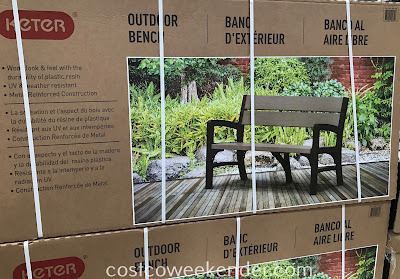 That's why the is an essential piece of furniture that is good to have if you intend to have outdoor gatherings or host a bbq for your friends and family. 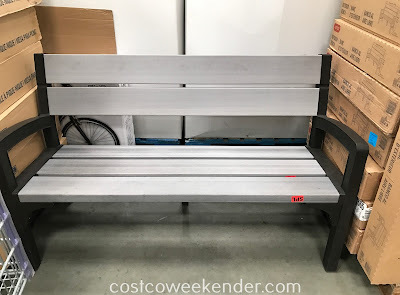 It has the classic look of a wood bench, but the construction and ruggedness to being outside. Because of this, the Keter Outdoor Bench can easily withstand the elements including direct sunlight and moisture making it last longer. 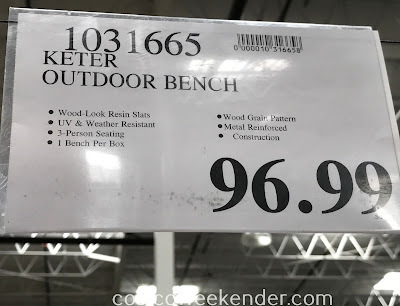 You don't have to worry about the Keter Outdoor Bench degrading as fast as a regular wood bench. You'll find that the Keter Outdoor Bench is great for hanging out in your patio or backyard when the weather is nice and warm.